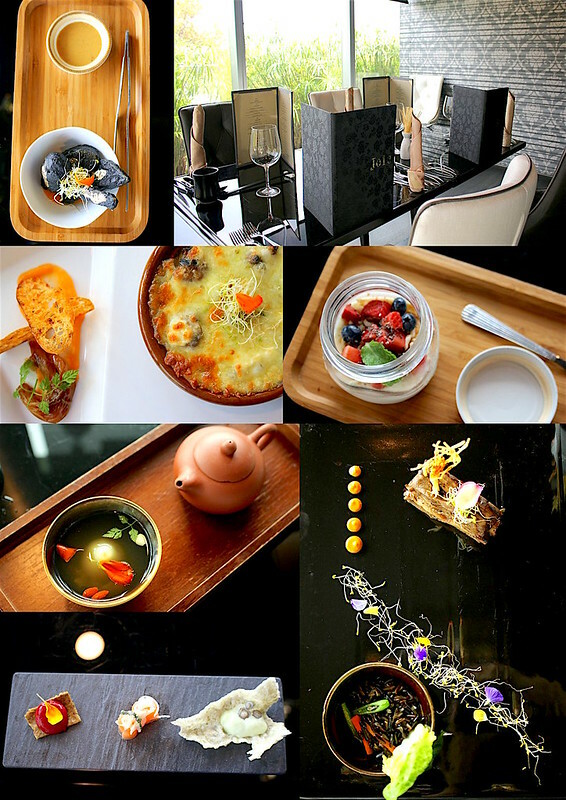 Located amidst the lush rooftop garden of Orchard Central is a fine-dining restaurant celebrating meatless cuisine - Joie by Dozo. But this is not your average vegetarian fare. 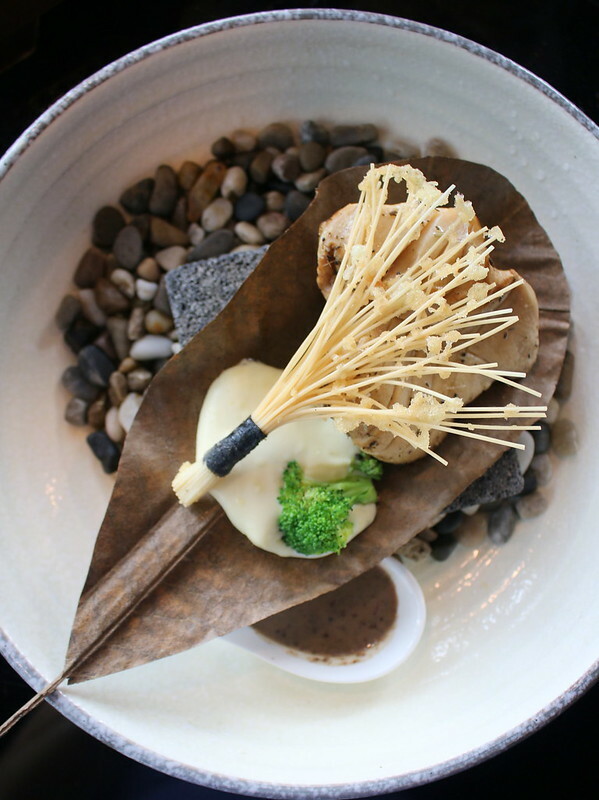 Each course is a beautiful revelation, and holds surprises in textures and flavours you'd never expect. For example, the Vegetarian Sashimi served on ice with Quail Egg Shooter Glass (above) cleverly replicates the texture of sashimi using konjac, vegetables and fruits. 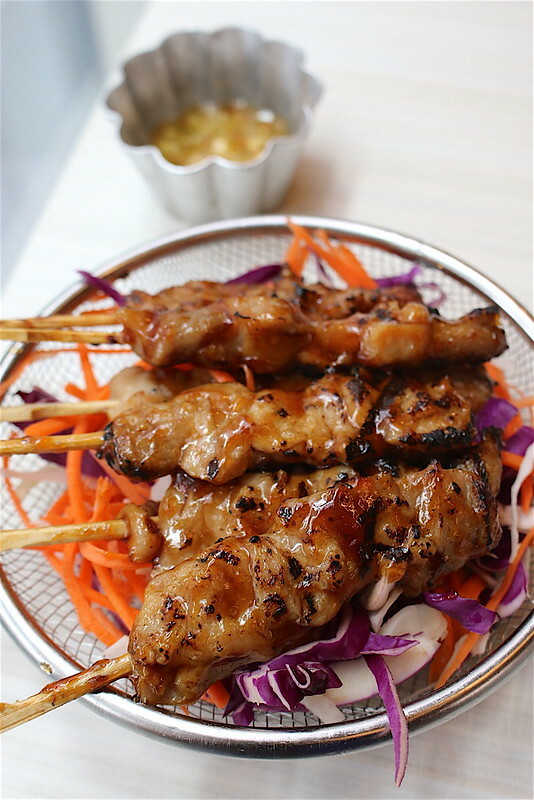 Dip the pieces in the soy sauce (especially the grilled coconut) and they take on a completely different taste! It totally tastes like seafood! The Grilled Bai Ling Mushroom Steak on "Pu-Ye" Hot Stone similarly looks like a work of art. The thick mushroom steak is springy and succulent; you can hear its juices sizzle on the hot stone. A truffle dip helps add smoky tang to the steak. A definite winner for those who love mushrooms. Joie by DOZO goes by tasting menus: six courses for lunch (S$38.80++, which is a fabulous deal) and seven courses for dinner (S$68.80++). Besides the starter, you get a choice of dishes for each course - side dish, cold dish, soup, main course, dessert and special drink. Note that the cold dish (which the vegetarian sashimi is part of) is only available for dinner. 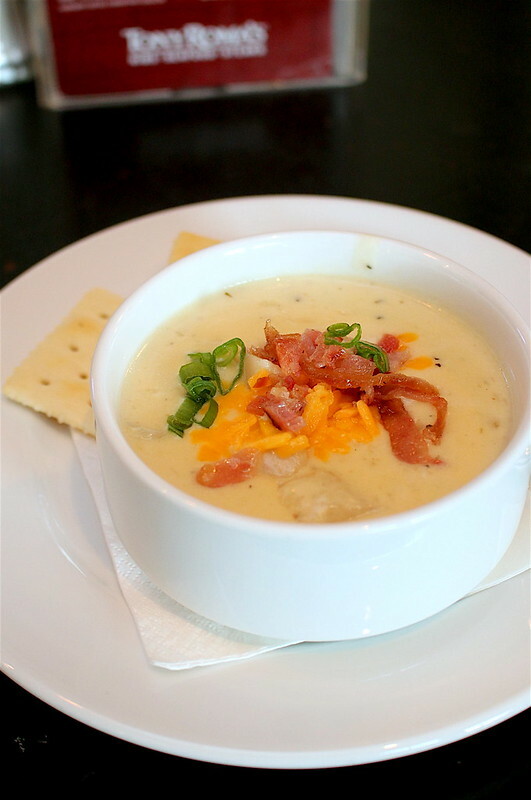 But suffice to say that there are plenty of choices that will surprise and please most diners. 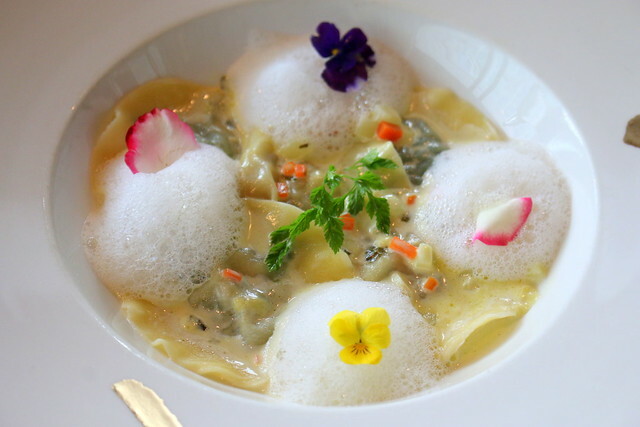 I was intrigued by the black tempura, the gratin mushrooms (much better than escargots), and the tasty ravioli. Yes, you'll find touches of molecular gastronomy still alive here. 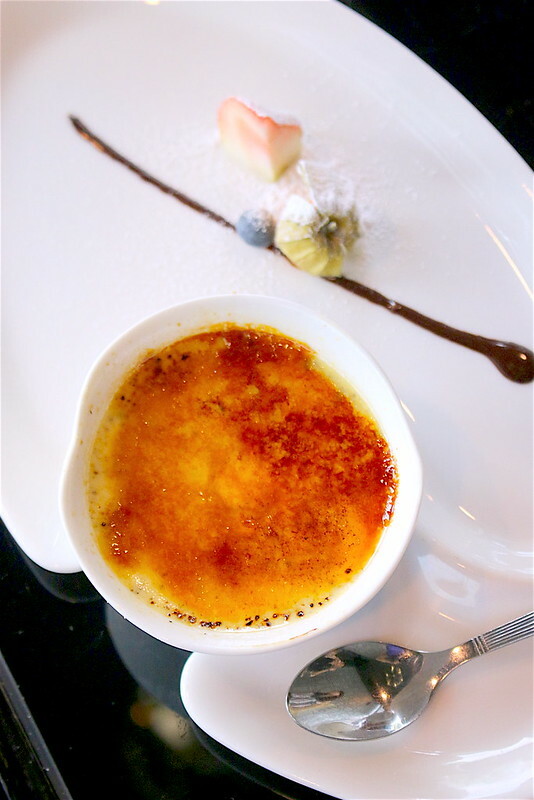 Among the desserts, the Truffle Creme Brulee stood out as more unusual. It was almost a savoury custard (me likey) with the strong truffle signature. Other desserts are more conventional; they include warm chocolate cake with vanilla ice cream, cheese cake, yoghurt pudding. The menu stays constant most of the time but seasonal changes may occur. Sumiya Charcoal Grill Izakaya is also on the top floor of Orchard Central, right across from Joie by DOZO. This space used to be the excellent Kuriya Penthouse, which I blogged about before. 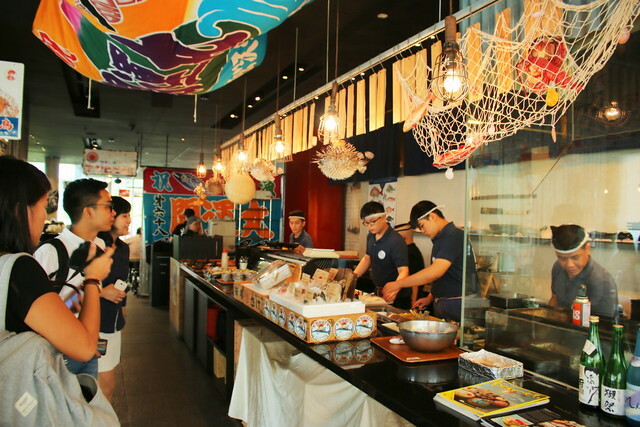 Now it's a casual and cheery retro-themed Japanese grill and izakaya. The open kitchen area showcases the chefs working the charcoal grills. 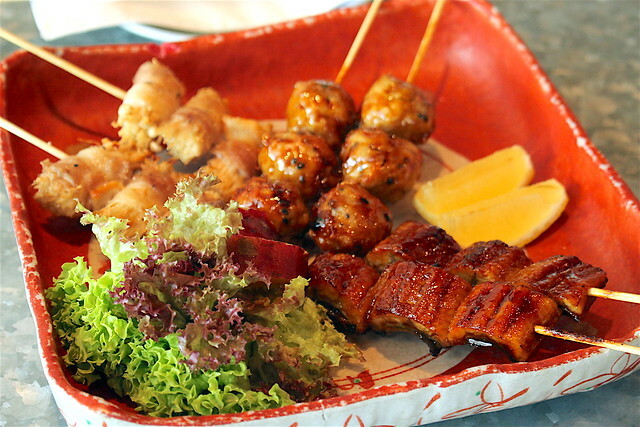 These gorgeous Japanese-style skewers are grilled over charcoal flame only upon order. Crazy salt is the mixture of herbs and rock salt. I'd happily come back for these. The unagi is especially well-grilled, but maybe I should go for anago instead since unagi is already on the endangered list. 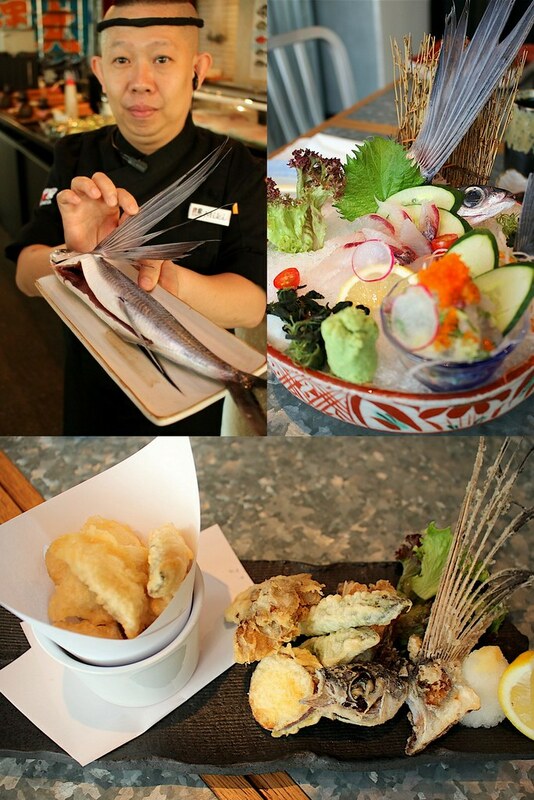 Sumiya serves farmed tuna from Japan in support of sustainable fishing. Limited servings are available due to limited supply of fish and parts. Sumiya is part of the huge RE&S group, so their procurement team in Japan are able to select and air-ship fish and seafood at least thrice weekly. Today’s Fish of the Day is an unusual pick - Tobiuo or Flying Fish. Wow, I've only ever tried tobikko (the roe) and not the actual fish itself. The sashimi is fresh and sweet. And what a steal at S$25++ too for this rare fish! For half sashimi, there are 2 styles: pure sashimi slices and sashimi marinated with ginger and shallot. They also serve a Ponzu citrus dipping sauce besides the usual soy sauce and wasabi. One of the popular highlights here is the seafood cooked in broth using a large metal canister. Apparently this is a traditional cooking method the Japanese fishermen used for their freshest catch. You can choose from Original Clear Broth, Tom Yum Soup, and Soy Sauce & Miso-base Soup with Garlic and Chilli. 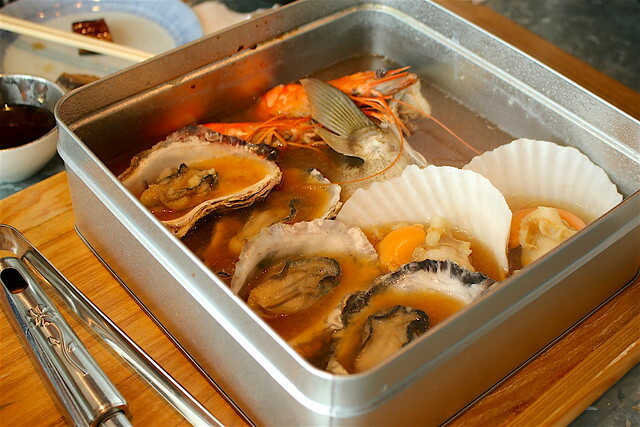 Our Can Can Mushi was S$56.80++ for a potently umami selection of Hokkaido Scallops, Hiroshima Oysters, Prawns and Kanpachi Kama (Amberjack collar). A filling meal for 2 persons to share. Finish your meal with a dessert like the Pumpkin-filled Karinto Manju with Matcha Ice Cream (S$8.80++), if you still have room in your stomach! 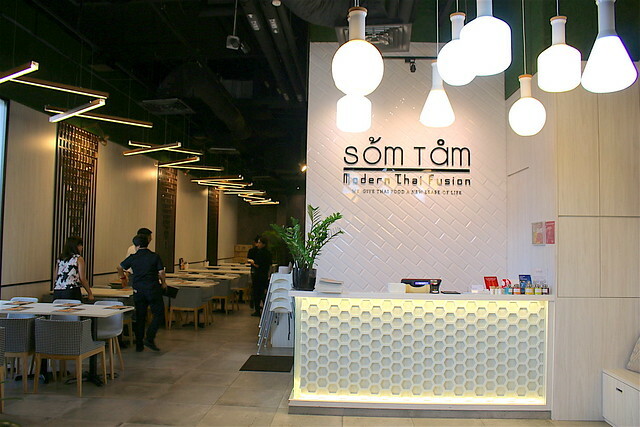 The folks behind Gin Khao Thai restaurant have started another concept - Som Tam offering "Modern Thai Fusion" cuisine. From the menu, it looks like they are not afraid to mix tom yum with truffle; Korean-style fried chicken with salted egg; and bonito with nam pla. But most of the menu looks pretty safe and there's a pretty wide variety of street fare, burgers, rice, noodle/pasta, grills/mains, soups, curries, desserts and drinks. The contemporary decor and friendly prices mean this will make families and young people happy. This was fairly decent but throw on some sliced chili padi in fish sauce, and the dish really comes alive! You do get quite a bit of seafood in this too. This was amazingly tender and coated with sticky sweet sauce. 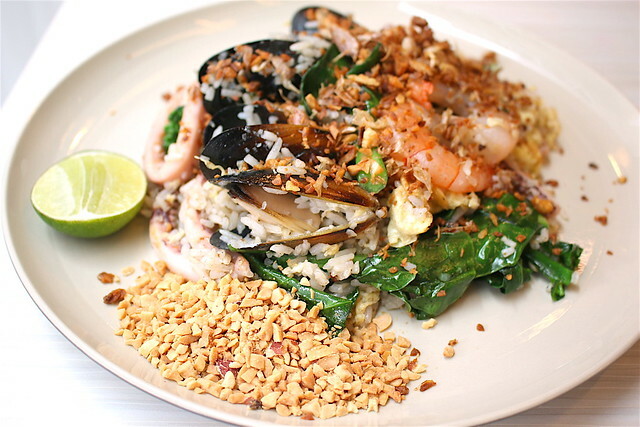 It's probably inspired by the street food in Thailand, but here you won't get the street fumes! This was a mild red curry that was quite pleasant. 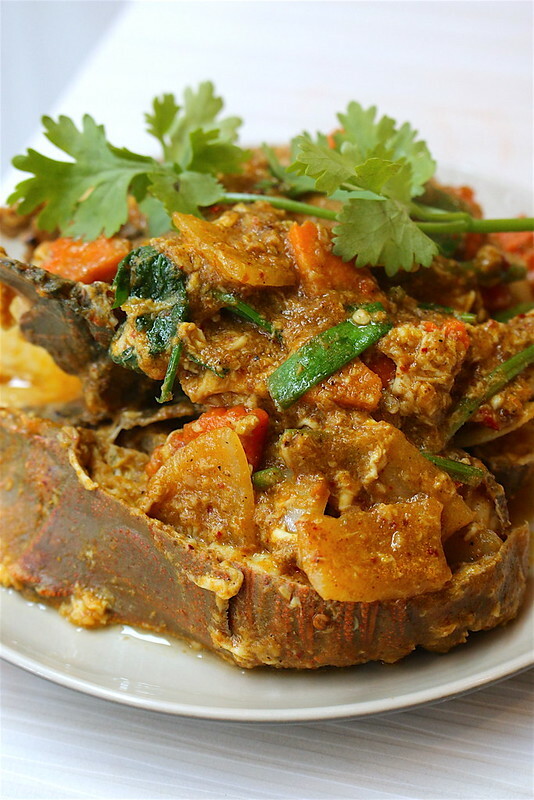 They probably tried to mimic chili crab curry textures with the runny egg. Fortunately there's no tomato base here, as the red curry itself works fine. 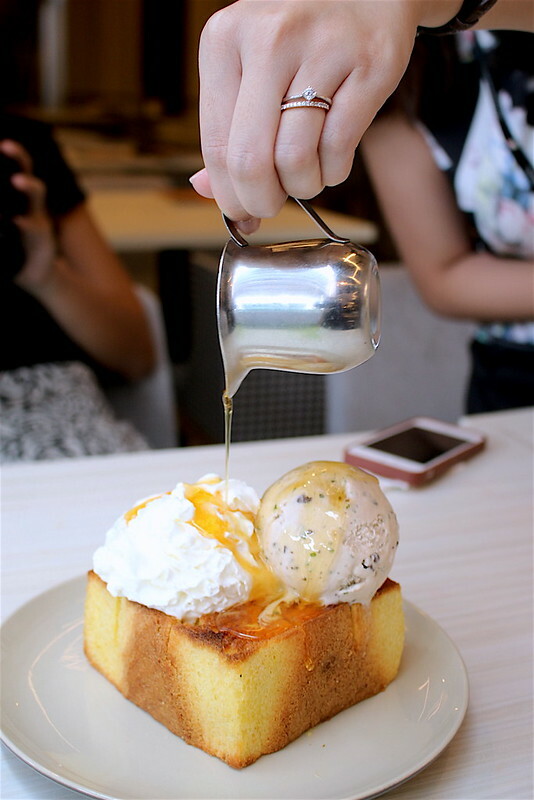 The crisp buttery toast is fun to eat with unusual ice cream flavours like Green Curry and Thai Basil with Chocolate Chips. If you prefer to be safe, stick with the Thai Tea or Matcha variety. 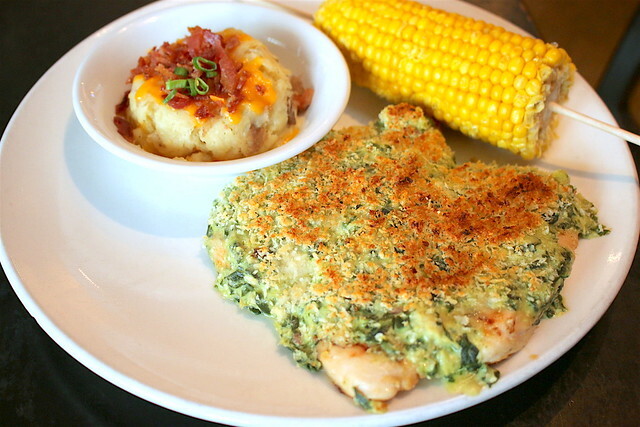 Tony Roma's is a guilty pleasure. 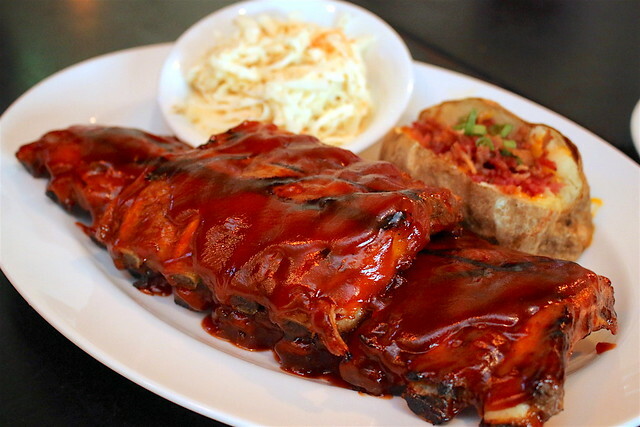 My family loves coming here on occasion for the baby back ribs, salads and onion loaf. But recently I discovered a few items we have never ordered before. Well, this is one way to eat your veggies along with your proteins! Plus three cheeses to bind them all together. That's also a really hearty serving of chicken. Most of the chicken entrees come with rice and a choice of cole slaw, baked potato, mashed potatoes, french fries, ranch style beans, broccoli or corn on the cob. vanilla ice cream and chocolate fudge. And for the first time ever, I tried a dessert at Tony Roma's. 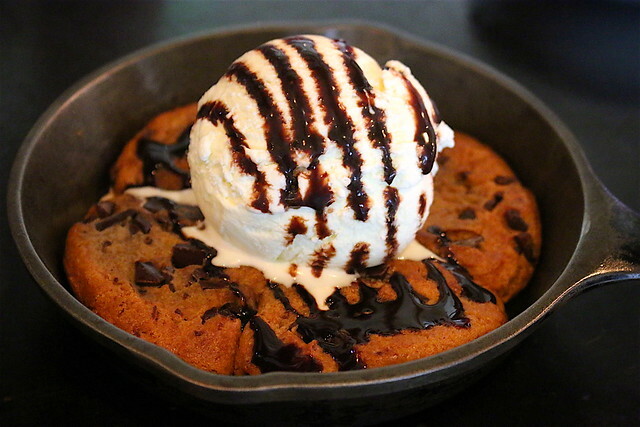 Normally we are too full after the ribs or some feast combo, but doesn't this skillet of sinful indulgence just beg to be shared? 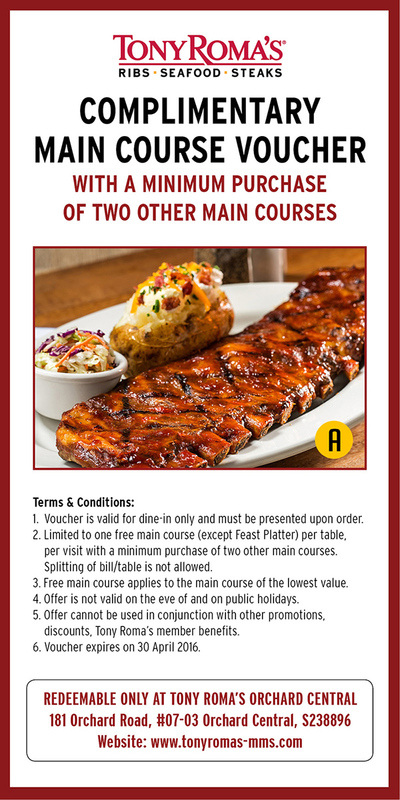 From now to 30 April 2016, Tony Roma's is also giving out one free main course with every two purchased. Please use the voucher here or download the picture below. Tony Roma's has been in Singapore for almost 24 years now. In the cutthroat F&B industry, that's a phenomenal record. They have also been pretty consistent with their standards and it always is the same reliable taste.